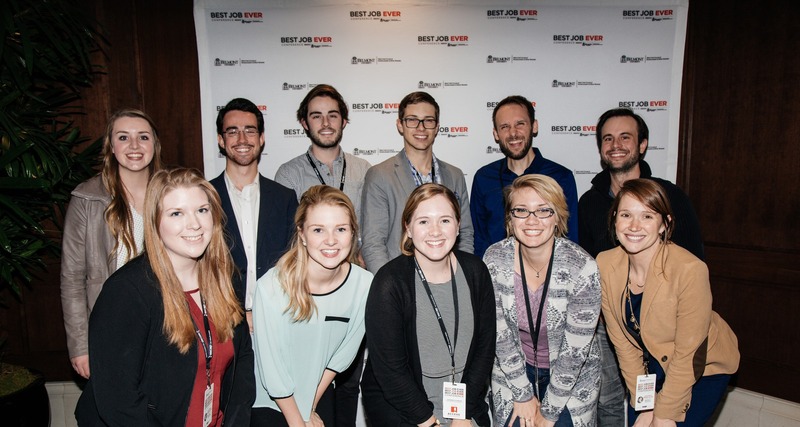 Belmont’s Curb College of Entertainment and Music Business hosted their annual Best Job Ever conference on Saturday, Nov. 14. The event is an all-day conference designed to expose students to a wide-range of careers within the entertainment industry and provide ample networking opportunities. The day began with a keynote speaker, Marcie Allen of Mac Presents (inset left), followed by 20 panels presented by entertainment industry professionals. Approximately 200 students attended the conference along with 60 professionals from Nashville, Los Angeles and New York. Young Entertainment Professionals sponsored an after-conference event at Ocean Way to provide additional networking opportunities for students including dinner and a special performance by Devin Dawson, Baylor Wilson and Louisa Wendorff. The event was held in Belmont’s newest building, The R. Milton and Denice Johnson Center.